Sometimes it’s not always easy to remember to take prescribed medications on time, especially for older people or those with chronic illness who have numerous pills they’re required to take every day. A smart pill bottle from AdhereTech that keeps track of medications and alerts people when it’s time for their next dose can help alleviate this problem and is currently being used by major healthcare providers. Designed with the help of product design and development company Intelligent Product Solutions (IPS), AdhereTech’s smart pill bottle recognizes when medication has been missed, and uses real-time alerts -- such as lighting up, playing a song, or sending a text message to a patient or caregiver. The bottle automatically measures if patients have taken their medication and uses a wireless antenna inside the bottle to send data to the company’s servers via a 3G network, where it is analyzed in real time, Josh Stein, CEO and founder of AdhereTech, told Design News. AdhereTech approached IPS for help with its second-generation design for its smart pill bottle because of the company’s reputation as a world-class design firm, according to Stein. A smart pill bottle from AdhereTech keeps track of medications and alerts people when it’s time for their next dose. The original device only worked in North America and couldn’t be manufactured in large volumes, Stein told us. IPS helped AdhereTech design and build the second-generation device, which works globally and can be manufactured at scale, he said. “IPS also helped us to improve our look and feel of the device, battery life, and durability,” he added. Doreen Swift, a senior electrical engineer from IPS, said there were a few challenges the companies had to meet to take the smart pill bottle from concept to design, including the aim to keep a traditional feel while including the electronics necessary to meet functionality goals. To solve the problem, IPS and AdhereTech teams collaborated to select power-efficient components and develop smart algorithms, which allow the product to be power efficient, Swift said. In doing so, IPS was able to create a design which will remain powered for more than three months. 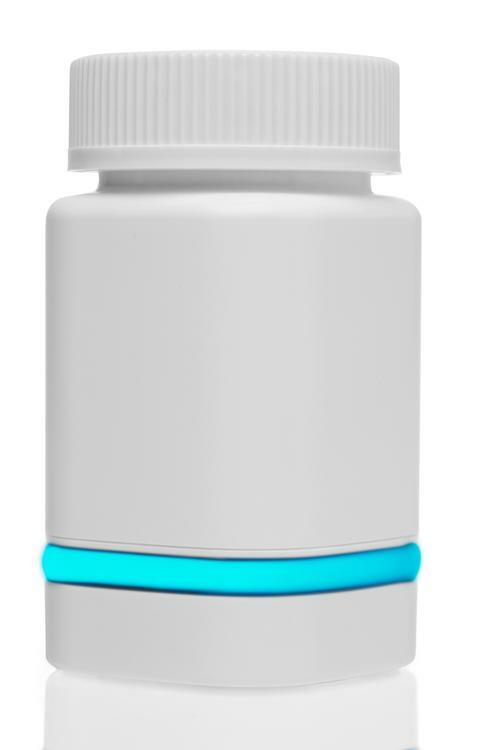 AdhereTech’s smart pill bottle complies with all medical, commercial, and wireless regulatory requirements -- such as FDA, HIPAA, FCC, Europe’s Common Era, US Pharmacopeial, and others -- and currently has active engagements with a number of healthcare firms, including three of the top 15 pharmaceutical companies, Stein said. Hospitals such as Walter Reed Medical Center, Cincinnati Children’s Hospital, and Mt. Sinai also are using the AdhereTech pill bottle -- from about 200 to 2,000 per organization -- to dispense critical, life-saving drugs, such as those for cancer and HIV. The company plans to produce 10,000 of its second-generation smart pill bottles in 2016. Design engineers and professionals, the West Coast’s most important design, innovation, and manufacturing event, Pacific Design & Manufacturing, is taking place in Anaheim, Feb. 9-11, 2016. A Design News event, Pacific Design & Manufacturing is your chance to meet qualified suppliers, get hands-on access to the latest technologies, be informed from a world-class conference program, and expand your network. (You might even meet a Design News editor.) Learn more about Pacific Design & Manufacturing here.